Located on a quiet crescent in popular King's Landing, this 2,135 sq/ft EnergyStar home is ready for your growing family w/4 bedrooms, 2.5 baths & finished basement. Great front porch, 9' ceilings & hardwood/tile flooring on the main floor. Large front den/office with double door entry, spacious great room with beautiful oversized window overlooking a maple kitchen w/tile floors and backsplash, centre island & stainless appliances included across from dining room w/patio doors to nice rear deck w/gazebo & fully fenced/landscaped rear yard. A hardwood staircase leads to 4 spacious bedrooms, 2nd floor laundry & huge master bedroom with walk-in closet and 4-piece ensuite with soaker tub and separate shower. Finished lower level features rec room w/laminate flooring, work out area and 3-piece rough-in for future bath. All this plus central air, HRV, garage door opener, large paved driveway w/curbs and walkway. 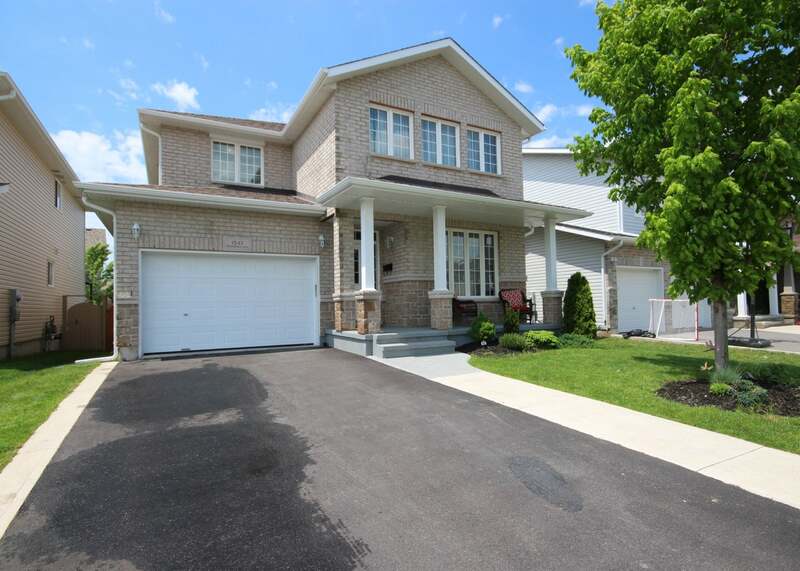 Set on a quiet upscale street just steps to Bert Meunier Park & splash pad!